Aesthetics brings great rewards in terms of job satisfaction, combining human interactions with clinical and artistic skills. This Foundation Day is the safest course on the market, grounding you with best practices you’ll keep throughout the rest of your career. Your Harley Academy Foundation Day certificate will entitle you to gain insurance to practice, and also forms your first step in the Level 7 qualification in Injectables should you wish to join our community. All Harley Academy trainers are hand-selected for their teaching style and ability as well as their clinical skills and real-world success in the field. Teaching by experienced aesthetic doctors. Includes case studies, live demonstrations of injection techniques on patients, and detailed instruction on how to manage complications and practice safely. 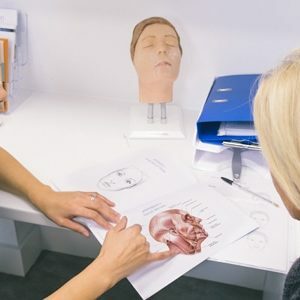 Instead of allowing you to inject a patient on your first day, we run small-group confidence-building sessions on professional mannequins, which you can inject as many times and you like. Group sizes of 1:4 allow time for individual feedback on your injection technique. We allow plenty of time for all your questions to be answered, including your concerns about getting into aesthetics, and what the best next steps for your career will be. Start Practicing Independently: Your Foundation Certificate permits you to gain insurance to inject both botulinum toxins and dermal fillers. 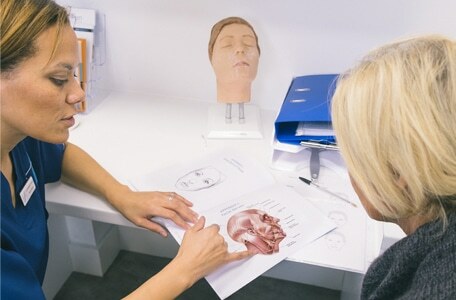 We do not recommend this route unless you have your own private mentor who can observe and improve your skills until you’re confident and proficient enough to meet the new Joint Council for Cosmetic Practitioners (JCCP) training requirements. Level 7 course in Injectables for Aesthetic Medicine: We recommend all practitioners achieve a Level 7, the new minimum recommended standard of training for injectables. This Foundation Training Day is step one of the nationally-recognised Level 7 qualification in Injectables. Get your Foundation Day for free: If you are accepted onto this more advanced programme, you will be eligible for a limited time to receive the cost of your foundation training off the Level 7 fees. Botulinum toxins are prescription-only. If you are a non-prescriber you can find a prescriber to work with who can provide clinical oversight. This will also mean you can practice safely with the prescription-only reversing agents that you require in order to manage the more serious complications that can occur from cosmetic injectables. Let us know if you require help with this. Foundation training covers the basics of botulinum toxin and dermal filler interventions for facial aesthetic rejuvenation. By the end of the day, you will be able to deliver both botulinum toxin and dermal filler treatments in the private setting. Recognise indications for treatment with botulinum toxins (also known as botox) and dermal fillers, including Glabellar Lines, Crow’s Feet, Horizontal Forehead Lines, Nasolabial Folds, Lip Volume, Cheek Volume, and Marionette depressions. Undertake a thorough assessment of your patient, and keep good clinical records. Understand the relevant facial muscles and vascular anatomy for accurate, safe injections. You’ll also get to know the types of different of botulinum toxins and dermal fillers are available, and how to formulate and administer them. Deliver appropriate post-injection advice for optimal results. Recognise complications for botulinum toxin and dermal filler treatments and deliver appropriate management. You’ll be able to empower and educate your patients about cosmetic injectables using your new understanding of the basics of skin science, the processes of facial ageing, and the biochemistry and mode of action of botulinum toxins. International students may be accepted if an equivalent level of education can be demonstrated, and you are professionally registered. Please refer to our Entry Requirements Policy for details. An aesthetic practitioner and teacher with a background of emergency and intensive care medicine. Emily authors and improves our academic content. 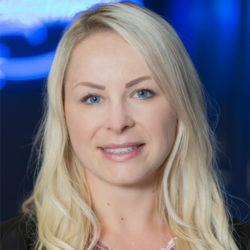 She completed a psychology degree alongside her medical degree and is interested in the field of the Psychology of Appearance and how this applies to the cosmetic industry. 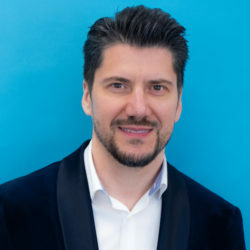 An aesthetic practitioner, trainer, assessor and GMC appraiser with a background in emergency and maritime medicine, Dr Pindolia is dedicated to a holistic approach to the individual from both medical and psychological perspectives, and combines injectables and skin rejuvenation. Dr Mehta is a medical doctor and aesthetic practitioner with a postgraduate diploma in clinical dermatology. He is Harley Academy medical lead on Skin Rejuvenation courses, and offers advice, guidance and support to our community of Level 7 students and graduates. An experienced anaesthetist and entrepreneur, Dr Penny is a member of both the British College of Aesthetic Medicine and Joint Council of Cosmetic Practitioners. Her teaching combines high standards of cosmetic care with an entrepreneurial approach. Dr Booysen pioneered in achieving a Level 7 Certificate in Injectables. She also holds a law degree, MBA and Master’s of Health Management and runs a clinic specialising in profilosplasty. She teaches the Harley Academy Foundation Day and is a trainer for Merz Pharmaceuticals. 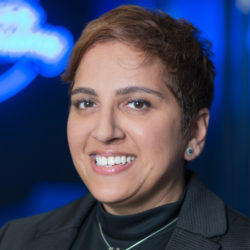 Dr Patel qualified from UCL before working as a GP. Today, he uses subtle rejuvenation with strategically placed injectable therapy to create a fresh look for older clients. He was one of the first to obtain level 7 qualification and also holds a level 3 teaching qualification. 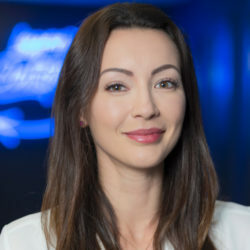 Once a star student at Harley Academy, Natalia is now a prescriber and practitioner in botulinum toxins, soft tissue fillers, PRP, PDO threads and skin rejuvenation techniques. She combines a holistic approach to patients with precise clinical focus. 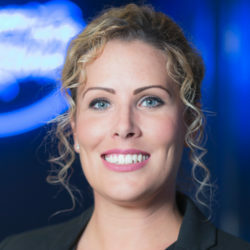 Natalie is an NHS Practice Matron, nurse prescriber, and aesthetics practitioner, with over 13 years’ NHS nursing experience. She studied the Level 7 in Injectables in 2017, and now runs her own thriving business, Haswell Aesthetics, across Essex, UK. Dr Salman is a dentist trained in cosmetic and implant dentistry. He began training in injectables in 2008, and was one of the first to study the Level 7 in Injectables, on which he now teaches. He is founder and director of Fine Art Aesthetics. 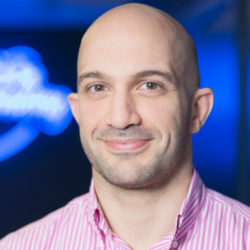 Mihai is currently a part time emergency nurse practitioner for Imperial NHS Trust, a Foundation Day trainer with Harley Academy, and runs his own aesthetics clinic. He has a Masters in minor injuries assessment and treatment, minor illness assessment and treatment, and prescribing. Dr Thompson graduated from St. George’s Medical school. Having had severe acne, resistant facial syringomas and scarring she understands the impact skin conditions bring. Her medical research background means she offers effective treatments with less downtime. All facial rejuvenation starts with skin. This one day course covers the essentials of skin health and hands-on practice of both key skin rejuvenation techniques: microneedling and chemical peels. This Cosmetic Dermatology Foundation Day: Chemical Peels and Microneedling training course is ideal for doctors, dentists and nurses. All facial rejuvenation starts with skin. This one day course covers the essentials of skin health and hands-on practice..
All facial rejuvenation starts with skin. This one day course covers the essentials of skin health and hands-on practice of all three key skin techniques: microneedling, mesotherapy and chemical peels. Our mentoring sessions for injectables are typically 4-hour sessions but two can be combined into a full 8-hour day, if you prefer. We have clinics nationwide so that you can find one that’s convenient for you. Ideal for doctors, dentists and nurses. 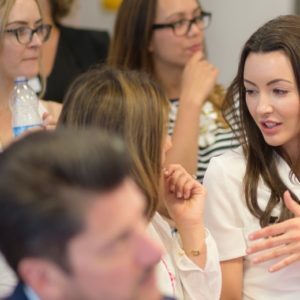 Bookable as 4-hour sessions or full 8-hour days, Harley Academy mentoring sessions offer a bespoke 1:1 learning experien..
Bookable as 4-hour sessions or full 8-hour days, Harley Academy mentoring sessions offer a bespoke 1:1 learning experience. You will rapidly improve your fine motor abilities and client consultation skills. Four half-day mentoring sessions (or two full days) are included in the Level 7 Injectables for Aesthetic Medicine. The approach towards the lower face is often one of the most undervalued and misunderstood in aesthetic medicine. Our jawline, chin and neck masterclass is an in-depth hands-on course and an excellent opportunity for current level 7 students and more experienced injectors to build confidence in an often overlooked range of procedures. Our jawline, chin and neck masterclass is ideal for doctors, dentists and nurses. Learn how to use a combination of botulinum toxins and dermal fillers (via cannulae) to safely sculpt the lower face, co.. Learn how to use a combination of botulinum toxins and dermal fillers (via cannulae) to safely sculpt the lower face, contour the jawline, and augment the chin. Would you prefer to learn Injectables or Cosmetic Dermatology? This open day is ideal for new as well as experienced practitioners interested in career advancement. How could aesthetic medicine transform your career? Ideal for doctors, dentists and nurses wishing to pursue a career in aesthetic medicine. How could aesthetic medicine transform your career? Would you prefer to learn Injectables or Skin Rejuvenation? Discover..
How could aesthetic medicine transform your career? Would you prefer to learn Injectables or Skin Rejuvenation? Discover the answers to your questions at one of our Open Days. 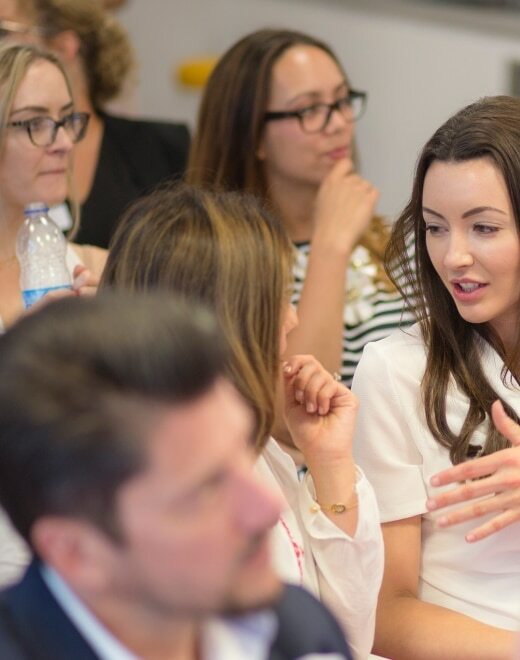 Whether you're completely new to aesthetic medicine or you're already practising and looking to advance your career, this Open Day will give you what you need to know to make an informed decision about your future. All deposits are donated to our medical charity partner, Operation Smile.